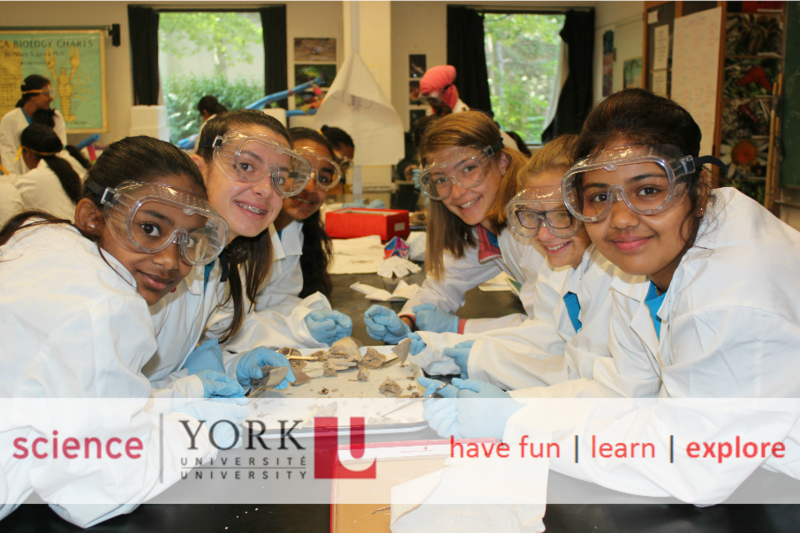 York Science Saturdays are STEM (science, technology, engineering, and mathematics) programs available for students in Grade 3-8. Join us for these multi-week programs as we explore topics in STEM through an engaging, interactive, and hands-on approach to learning. Programs are separated into Junior (grades 3/4/5) and Senior (grades 6/7/8) sections, and will run during the following dates. Students may sign up for multiple programs or only one program at a time. Classes are limited to 20 students, so register early! Sign up for our parent newsletter to receive email notifications about our programs. and exploring the world of polymers to understand how products from water bottles to car tires are made. and learn about electrical circuits by building their own flashlights. and design an Electronic Security System that flashes lights when someone is near. and study forensic chemistry by exploring ligands, luminol, and chemiluminescence. and write a machine learning program that learns Linear Separation. and study oceanography by programming Ozobots to navigate the ocean floor. Please note that we encourage students to leave all electronic game devices at home, as we are not responsible if they are lost. If your child carries a cell phone with them, we ask that it be put on vibrate during program hours. We offer Financial Assistance for Science Engagement Programs, when funding is available. For more information, please click on the appropriate links or email explore@yorku.ca.